The durability of these metal frames makes them the perfect sunglasses for everyday eyewear. Made out of high quality metal, you'll feel comfortable and bang on trend. If you've been blessed with a high bridge, you won't need nose pads to keep your Burberry BE3074 sunglasses in place, meaning you can position them you like. 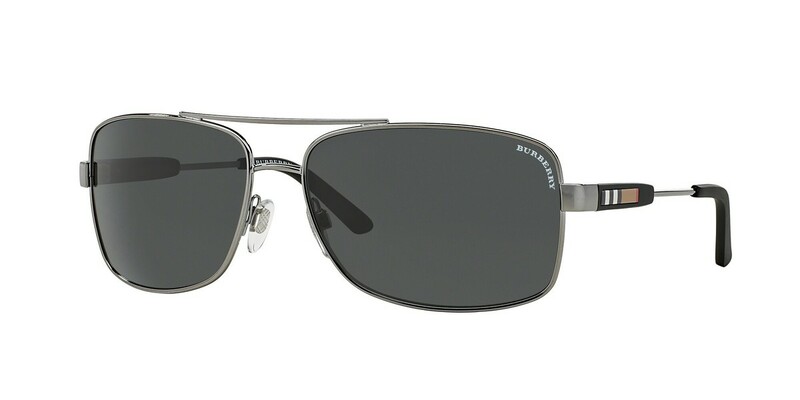 If you're going for a more structured architectural look, these rectangular Burberry BE3074 frames are perfect. These strong frames are resilient and durable, which makes these the ideal sunglasses for sporting enthusiasts. Offset your rounder features with a pair of rectangular sunglasses and stand out from the crowd. No matter what your face shape, these classic-looking frames will dress any face and style. Timeless in their appearance, you'll be able to travel from the past way into the future. These beautifully designed low temple Burberry BE3074 sunglasses have been crafted with a distinct low sitting temple curve for your comfort.